Your brand-new baby is beautiful, unique, and so special. This is exactly why your baby needs a unique baby gift to celebrate this new life that you’ve been blessed with. Or perhaps there’s a brand-new baby in your life who isn’t your own, but your love for whom is unparalleled — whether it be a niece, nephew, godchild, or grandchild. Babies deserve something as one-of-a-kind as they are. Of course, we’re going to start with one of our own products! This bkeepsakes.com top-seller is an art-quality personalized birth announcement print. Each keepsake includes the child’s name, name meaning, birth date, birth information, and a lot of fun facts about that very special day. You can choose from unframed, laminated, or framed, and even add a photo. And there are 31 designs to choose from! There are also customized options to add shared family birthdays, or your own special name meaning! There are a number of sites online where you can purchase baby name blankets. These blankets can be monogrammed with the baby’s name and date of birth. This is a wonderful way to celebrate your baby with a gift that can also be used on a daily basis. What better spot to store all of your baby’s important keepsakes than in a crafted box personalized with their name and date of birth? Keep all of their most important momentos like their hospital bracelet, a lock of hair from their first haircut, or favorite rattle in an adorable little box that you can admire for years to come. Not only can you keep baby’s head warm with this gift, but it’s also an adorable accessory that you can keep for years to come. 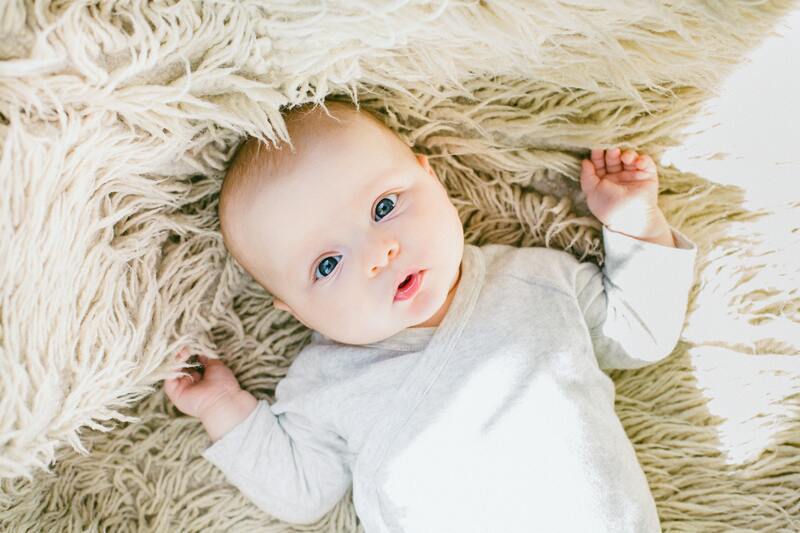 They often don’t have the size to include much aside from an embroidered name, and baby will likely grow out of it pretty quickly, but it’s still a lovely way to commemorate your baby and keep them comfy and cozy. These are just a few of our favorite unique baby gifts that you may want to consider gifting to the brand-new baby in your life. 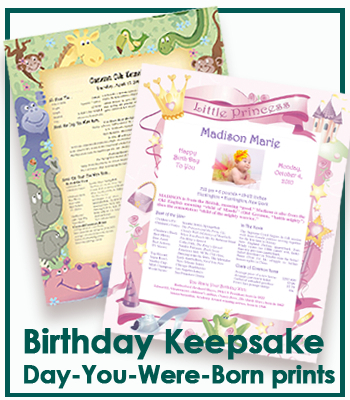 Go to bkeepsakes.com to check out some of our other unique keepsakes for babies and children, from Little Prints Kits, to Growth Charts, to Personalized Books. Nothing conveys love and affection like a one-of-a-kind keepsake from Bkeepsakes.com.